Criminal Procedure - Quashing of the FIR - Civil proceedings and Criminal proceedings can proceed simultaneously. In every criminal proceeding there would be some element of civil in nature. In this way, it cannot be universally said that where the civil litigation between same parties with regard to same subject, criminal proceeding cannot be initiated with regard to same subject. If it is universally applied that pendency of a civil litigation between parties are sufficient for quashing the criminal proceedings, the unscrupulous litigants, apprehending criminal action against them, would be encouraged to frustrate the course of justice and law by filing suits with respect to the documents intended to be used against them after the initiation of criminal proceedings or in anticipation of such proceedings. Appearing Counsel: For the petitioner(s) : Mr. Anil Sethi, Advocate. For the respondent(s): Mr. Vishal Bharti, Dy. AG for respondent No.1. Mr. Z. A. Mughal, Advocate for respondent No.2. 1. Through the medium of instant petition filed under Section 561-A Cr.P.C., petitioner inter alia seeks quashing of the FIR No.70/2017 dated 15.12.2017, registered with Police Station, Ramgarh, Tehsil and District Samba under Sections 420/467/468/471/34 RPC against him. 2. Briefly, the material facts narrated in this petition are that; the petitioner and the private respondent No.2 are locked in civil litigation over land measuring 01 kanal 06 marla falling under Khasra No.480, land measuring 02 kanals 09 marla falling under Khasra No.481, land measuring 04 kanal 15 marla falling under Khasra No.441 and land measuring 01 kanal falling under khasra No.320 min (total land measuring 10 kanals) situated at village Palouta-Ramgarh, Tehsil and District Samba. That another suit has been filed against the petitioner herein by one Sansaro Devi with regard to different piece of land. Injunctions have been issued in both the civil suits, which are pending adjudication before the civil courts at Samba. In the suit filed by the petitioner herein, interim order has been made absolute vide order dated 09.08.2012. With a view to over-reach the pending civil suits and in order to render the civil proceedings infructuous, the respondent has approached the learned Magistrate at Samba with frivolous complaint as regards forgery of agreement to sell. The learned Magistrate, Samba without complying with the mandate of Hon’ble the Supreme Court in Priyanka Srivastava’s case, also directed in a mechanical manner and directed lodging of the FIR on 28.11.2017. Accordingly, FIR No.70/2017 dated 15.12.2017 has been registered pursuant to the orders passed by the learned Magistrate in 156(3) proceedings on 28.11.2017. It is further stated that in the face of civil suits pending between the parties and issue being directly and substantially pending in the civil court, the police cannot hold investigation as regards the offences of forgery of the Agreements to Sell in question on the part of respondent no.2 in attempting to seek the police investigation in civil case is clearly hit by the mandate laid down by Hon’ble Supreme Court in Sardool Singh vs Naseeb Kour, reported in 1987 SCC (Supplement) page 146. The continuation of investigation as criminal proceedings in civil case constitutes abuse of process of law because criminal proceedings being used as lever by the private respondent to force the petitioner to agree to her dictates and to give up his claims rose in the civil suit. The lodging of the FIR is an attempt to convert civil proceedings into criminal one. The learned Magistrate ought to have first followed the principles laid down by the Supreme Court in Prinyanka Srivastava’s case (supra) and then only directed investigation in application under Section 156(3) CrPC. 3. The objections filed by State/respondent No.1 wherein it is stated that the present petition is not maintainable under law and the same is required to be dismissed out rightly; that the law is well settled by the courts that inherent powers under Section 561-A Cr.P.C. can only be exercised when a prima facie case is made out for quashing of the FIR or other criminal proceedings. In the present case, the petitioner is involved in a serious criminal offences under Sections 420/467/468/471/34 RPC registered at Police Station, Ramgarh, District Samba and the case for the proper investigation has been registered against the petitioner along with other accused persons and after getting the report from FSL, it has been established that the petitioner is also involved along with other accused persons in forging the document regarding agreement to sell executed between the petitioner and the respondent no.2 dated 19.08.2004 allegedly registered before the Notary public at Jammu and accordingly a prima facie case for the above said offence is clearly made out against the petitioner as well; that there is no specific bar to continue with the investigation in FIR No.70/2017 during the pendency of civil suit as well; that a prima facie case for the offences mentioned herein is made out against the petitioner and others, as such the petitioner cannot be said to be innocent nor the criminal proceedings initiated against the petitioner. Moreover under the provisions 561-A Cr.P.C., High Court has to exercise its powers cautiously, carefully and sparingly and the court has not to function as a court of appeal or revision. 4. Respondent No.2 has also filed objections wherein it is stated that the said petition has been filed challenging FIR No.70/2017 dated 15.12.2017 registered at Police Station, Ramgarh, Samba under Sections 420/467/468/471/34 RPC against accused Gurdayal. The said FIR being challenged in the present petition has been lodged against three accused persons, namely, Gurdayal, Girdhari Lal and Charan Dass. The matter is under investigation and the registration of the FIR challenged, cannot be equated with pendency of civil litigation between the private parties. The FIR is not a case of theft injury or otherwise but the FIR pertains to forgery which is committed by accused persons by manufacturing a document on which the present applicant/respondent No.2 never put her thumb impression. The document forged by the accused persons is the agreement to sell dated 18.08.2004. The present petitioner has approached this court with unclean hands and in order to stall the investigation. In the petition, the petitioner has only made references to the civil litigations pending between the petitioner and respondent no.2, which have no basis when the investigation with regard to forgery committed by petitioner Gurdayal is pending before respondent No.1. It is further stated that due procedure was adopted by the learned Magistrate while directing the investigation into the matter which resulted in registration of FIR. 5. I have considered the rival contentions and law on the subject. Counsel for petitioner has reiterated all grounds taken in memo of petition but has neither produced any judgment nor any law in support of his contentions. Whereas during the course of arguments, learned counsel for the respondents has produced the judgment of Supreme Court in case titled Teeja Devi @ Triza Devi vs State of Rajasthan and others, reported in 2015 (1) ACR 564. 6. From the perusal of document on record, it is evident that complainant/ respondent no.2 lodged a written complaint before JMIC Samba against the petitioner and that complaint was forwarded to SSP C/B for investigation on 10.12.2016; police conducted preliminary verification and found prima facie case of forgery, but on 28.11.2017 SSP Crime Branch Jammu reported to JMIC that case is of an individual in nature and C/B has no jurisdiction. JMIC forwarded the same to concerned Police Station Ramgarh, wherein FIR No.70/2017 was lodged u/s 420/467/468/471/34 RPC against petitioner and two other accused. 8. I have given my thoughtful consideration to whole aspects of the matter. 9. The law with regard to quashing of FIR is now well settled. FIR can only be quashed in order to prevent abuse of process of law or to otherwise secure the ends of justice. The expression ends of justice and to prevent abuse of process of any court are intended to work out either when an innocent person is unjustifiable subjected to an undeserving prosecution or if an ex-facie all merited prosecution is throttled at the threshold without allowing the material in support of it. This court while exercising the power under section 561-A Cr.P.C., does not function as court of trial, appeal or revision. Inherent jurisdiction has to be exercised sparingly, carefully and with great caution. These powers cannot be used to stifle the legitimate prosecution. This is discretionary power vested in High Court to do substantial justice. High Court cannot examine the evidence as to whether charge for alleged offence is made out or not. This is prerogative of trial court where challan is produced. 10. In present case, there is specific allegation of forgery that petitioner along with two other accused have got prepared fake documents i.e agreement to sell dated 19.08.2004 in respect of land measuring 10 kanal falling under Khasra no.320, 441, 480, 481 situated at Ramgarh by affixing fake thumb impression of complainant on it, in order to derive undue benefit for themselves and loss to complainant, thereby depriving complainant from her land illegaly. Even on inquiry conducted by C/B, a case of preparation of fake and forged agreement to sell with regard to the land of the complainant has been found proved. 11. The only ground taken in this petition is that parties are already litigating the matter with regard to same subject before civil courts and validity of agreement to sell in question is also in question before civil court, so criminal proceeding is not maintainable. Civil proceedings, as distinguished from the criminal action, have to be adjudicated and concluded by adopting separate yardsticks. 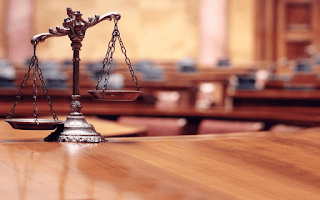 The onus of proving the allegations beyond reasonable doubt, in a criminal case, is not applicable in the civil proceedings which can be decided merely on the basis of the probabilities with respect to the acts complained of. When there is an element of criminal nature in the allegations leveled in the complaint/FIR, then certainly criminal law can be set in motion. Further, mere pendency of civil litigation with regard to same subject matter or document, criminal proceedings cannot be stayed or quashed. 12. In M.S. Sheriff v. State of Madras, reported in AIR 1954 SC 397, a Constitution Bench of the Supreme Court, while dealing with a question as to whether a civil suit or a criminal case should be stayed in the event both are pending, held that the criminal matter should be given precedence. “--------------------------------------. Although allegations contained in the complaint petition may disclose a civil dispute, the same by itself may not be a ground to hold that the criminal proceedings should not be allowed to continue. For the purpose of exercising its jurisdiction, the superior courts are also required to consider as to whether the allegations made in the FIR or Complaint Petition fulfill the ingredients of the offences alleged against the accused. 15. Indisputably, the question as to whether the complainant was entitled to a higher amount of commission in terms of the agreement dated 21.2.1973 is essentially a civil dispute. The complainant in terms of the said agreement was not only entitled to inspect the documents maintained by the accused but also to get the same audited. It is, therefore, difficult to hold as has rightly been opined by the Investigating Officer that a case for imposing a criminal liability on the accused on that score has been made out. While saying so, we are not unmindful of the limitations of the court's power under Section 482 of the Code of Criminal Procedure which is primarily for one either to prevent abuse of the process of any Court or otherwise to secure the ends of justice. The court at that stage would not embark upon appreciation of evidence. The Court shall moreover consider the materials on record as a whole. "7. This Court has consistently held that the revisional or inherent powers of quashing the proceedings at the initial stage should be exercised sparingly and only where the allegations made in the complaint or the FIR, even if taken it at the face value and accepted in entirety, do not prima facie disclose the commission of an offence. Disputed and controversial facts cannot be made the basis for the exercise of the jurisdiction." It was furthermore observed that the High Court should be slow in interfering with the proceedings at the initial stage and that merely because the nature of the dispute is primarily of a civil nature, the criminal prosecution cannot be quashed because in cases of forgery and fraud there would always be some element of civil nature. "13. For the purpose of establishing the offence of cheating, the complainant is required to show that the accused had fraudulent or dishonest intention at the time of making promise or representation. In a case of this nature, it is permissible in law to consider the stand taken by a party in a pending civil litigation. We do not, however, mean to lay down a law that the liability of a person cannot be both civil and criminal at the same time. But when a stand has been taken in a complaint petition which is contrary to or inconsistent with the stand taken by him in a civil suit, it assumes significance. Had the fact as purported to have been represented before us that the appellant herein got the said two rooms demolished and concealed the said fact at the time of execution of the deed of sale, the matter might have been different. As the deed of sale was executed on 30.9.2005 and the purported demolition took place on 29.9.2005, it was expected that the complainant/first respondent would come out with her real grievance in the written statement filed by her in the aforementioned suit. She, for reasons best known to her, did not choose to do so." Mr. Sinha submitted that the impugned Order was unsustainable. He submitted that facts make out a civil wrong as well as a criminal liability. He submitted that merely because civil action can be taken does not mean that a criminal complaint is not maintainable. In support of his submission he relied upon the case of Trisuns Chemical Industry v. Rajesh Agarwal and Ors. reported in JT 1999 (6) SC 618. In this case, the agreement between the parties contained an Arbitration clause. This Court held that merely because the dispute could be referred to arbitration it was not an effective substitute for a criminal prosecution when the act also made out an offence. On the other hand, Mr. Singh submitted that the alleged acts have made out no case for taking cognizance. He submitted that at the highest the remedy would lie in a Civil Court only. He relied upon the cases of State of Haryana v. Bhajan Lal reported in 1992 Supp (1) SCC 335 and Mr. K. Ramakrishna & Ors. v. State of Bihar & Anr. reported in JT 2000 (Supp 1) SC 53, In these cases it is held that inherent powers can be exercised to quash proceedings to prevent abuse of the process of law and to secure ends of justice. It has been held that where the allegations in the FIR do not constitute the alleged offence or where the offence is not disclosed in the complaint or the FIR the frivolous criminal litigation could be quashed. There could be no dispute to the proposition that if the complaint does not make out an offence it can be quashed. However, it is also settled law that facts may give rise to a civil claim and also amount to an offence. Merely because a civil claim is maintainable does not mean that the criminal complaint cannot be maintained. In this case, on the facts, it cannot be stated, at this prima facie stage, that this is a frivolous complaint. The High Court does not state that on facts no offence is made out. If that be so, then merely on the ground that it was a civil wrong the criminal prosecution could not have been quashed. In our view, the Order of the High Court cannot be maintained and is accordingly set aside. The trial Court to proceed with the Complaint in accordance with law. The Appeal is allowed. There will, however, be no Order as to costs. "It is, however, well settled that in a given case, civil proceedings and criminal proceedingscan proceed simultaneously. Whether civil proceedings or criminal proceedings shall be stayed depends upon the fact and circumstances of each case.... Filing of an independent criminal proceeding, although initiated in terms of some observations made by the civil court, is not barred under any statute.... It goes without saying that the respondent shall be at liberty to take recourse to such a remedy which is available to him in law. We have interfered with the impugned order only because in law simultaneous proceedings of a civil and a criminal case is permissible." ―Criminal Procedure Code, 1973--Section 173 & 482—Indian Penal Code 1860--Sections 420, 465, 467, 468 & 120-B – Scheduled Castes & Scheduled Tribes (Prevention of Atrocities) Act, 1989—Section 3(1)(x)—Quashing – FIR—Accused persons who fraudulently represented complainant that her thumb impression was being taken for creating a mortgage deed but later she came to know that they had dishonestly prepared an agreement for sale of her lands—Complaint of the appellant was forwarded to police for instituting FIR and investigation--High Court quashed the FIR and related proceedings—Challenged—Held, order of the High Court is not in accordance with law—No interference should have been made with the investigation by the Police by quashing the FIR in the facts of the case—This is not at all a rare case—Impugned order of the High Court under appeal is set aside—Appeal allowed. 10. We have no hesitation in holding that in the facts of the case; the High Court was not justified in interfering with the Police investigation and quashing the FIR. This is not at all a rare case. Without thorough investigation, it is not possible or proper to hold whether allegations made by the complainant are true or not. Hence the investigation should have been allowed to continue so that on filing of the report under Section 173 CrPC the affected party could pursue its remedy against the report in accordance with law. Keeping in view the fact that the criminal case was at the stage of investigation by the Police the High Court was not justified in holding that the investigation of the impugned FIR is totally unwarranted and that the same would amount to gross abuse of the process of court. 18. So it is now well-settled that in a given case, civil proceedings and criminal proceedings can proceed simultaneously. In every criminal proceeding there would be some element of civil in nature. In this way, it cannot be universally said that where the civil litigation between same parties with regard to same subject, criminal proceeding cannot be initiated with regard to same subject. 19. If it is universally applied that pendency of a civil litigation between parties are sufficient for quashing the criminal proceedings, the unscrupulous litigants, apprehending criminal action against them, would be encouraged to frustrate the course of justice and law by filing suits with respect to the documents intended to be used against them after the initiation of criminal proceedings or in anticipation of such proceedings. 20. All the pleas taken in the petition and those argued may be relevant for discharge of accused, but not for quashing the FIR, because all the pleas are pertaining to appreciation of facts. It is not case of petitioner that there is an express legal bar engrafted in any of the provisions of the Code or the concerned Act (under which a criminal proceeding is instituted) to the institution and continuance of the proceeding. 21. In view of above discussion, this petition is dismissed. Interim stay, if any, is vacated.